During opening hours, you can use the Montessori material in our workroom. Besides, you can receive further instruction and help through written information or seek advice from our staff members, all of whom hold the Montessori Diploma. Larger groups of visitors can receive demonstrations of the material’s usage and can practise themselves outside office hours. If you are interested, please do not hesitate to contact us via e-mail. Students who are looking for literature for seminar papers or examination theses can ask our advice. An alphabetic and systematic catalogue with a highly differentiated register will be at their disposal. Although literature that belongs to the Montessori Centre cannot be borrowed, it can be studied on the premises of the Centre and photocopied. The Montessori Centre sells different books and works, among them works from the series Impulse der Reformpädagogik, for reduced price. Apart from the extensive collection of literature mentioned above, the Centre possesses highly informative videos on Montessori Education, which can be watched during office hours. The teaching staff of the Montessori Centre as well as other university lecturers regularly give seminars and lectures on Montessori Education (see information board at the Centre). According to the new course of educational studies, New Education/ Montessori Education is one of the topics students may choose as their main focus. It is possible to borrow Montessori Material for seminars that are given by lecturers of the university of Münster (but not for private purposes). In co-operation with the Diözesanbildungswerk Münster (an educational institute of the diocese Münster) and the Montessori-Vereinigung (Montessori Association, seat Aachen), the Montessori Centre regularly offers a Montessori Diploma Course as well as a course which is specifically designed for Montessori Education in secondary schools (Montessori Certificate Course). The courses are run by Prof. Dr. Harald Ludwig and Michael Klein-Landeck, PhD. A new Diploma Course will start in spring 2016. If you are interested in the Montessori Diploma Course or the Montessori Certificate Course, please contact us via e-mail and we will keep you informed. A new Certificate Course in Münster is not planned yet. As regards research and teaching, Montessori Education is constantly being adapted to today’s needs. In this process, the Montessori Centre participates together with international partners. 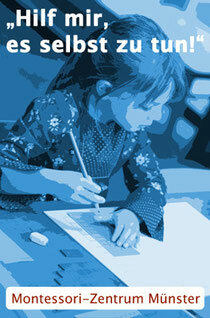 Our special attention is focussed on supporting the reconstruction of New Education in Eastern Europe. Part of the library of the Faculty of Educational Studies is an archive where you can find further literature and material on Montessori Education as well as on Peter Petersen, Berthold Otto and the German Educational Reconstruction (an emigrant organisation during World War Ⅱ). The archive is open to people who are working on special research projects. Access has to be arranged individually. For several decades, professors working at the Montessori Centre have been in charge of the academic edition of Maria Montessori ’s works in Germany. Several works which have been published by lecturers of the Montessori Centre support the further development of the Montessori Method.